Tando Mask - Footprints A 14.5cm x 14.5cm mask cut from durable, washable plastic that can be used over again. 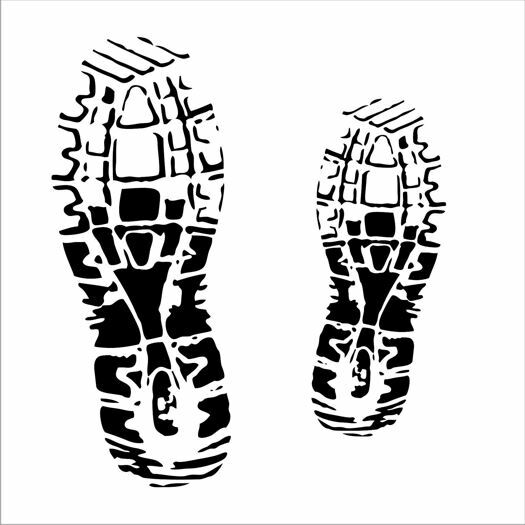 This design features a Footprint Design. The black area represents the printed image through the mask.